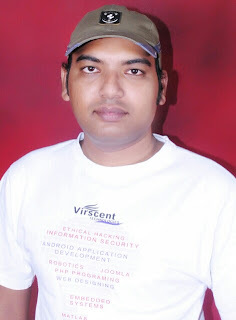 Hello EHN readers and everyone else from the World Wide Web Community, I’m Tushar Rajhans Kumbhare from India. Probably, your next question would be related to my work, so here goes: I am pursuing a B.E Degree in Telecommunication & Electronics. At the moment, I am awaiting my study completion, which is going to take a while. However, what I actually do right now and something that has become my destiny as of last few weeks, is my role as a Security Analyst and Pen Tester at Defencely.Com. That’s about it… I guess. 2. How did you get into Information Security Field? Yeah, that is an interesting tale. Generally speaking, I belong to the modern generation, where kids are fascinated with the idea of computers, website hacking, security intrusion, whether good or bad, and reverse engineering. I guess it kind of gives them a sense of control and purpose in life. I just got my laptop 3 years ago. Before that, I was using computers at par level. It is unbelievable, right? It took me 3 years to get better at online security penetration related stuff. As the story goes, there I was in my 2nd Semester’s Programming class. They have that mandatory C language course for everyone. I hesitated. By then the dialogue took a wild turn when I admitted to know nothing about powering on computers. Her words: “What” and “Get out of my class, young man” still echo in my head. Besides, I was the laughing stock of the entire university for about two weeks. My parents were very supportive of me. They spent a chunk of their savings to buy me a laptop. Since then, I have been pursuing my fascination, which is computer and website hacking. From then on, I scavenged all kinds of knowledge about Hall of Fame security acknowledgements. Hard work and persistence took the better of me, and there I was, trying to get listed on these company pages. 3. Why did you choose to become a Security Researcher? Curiosity is the harbinger of dreams - (I just came up with this quote myself. Dibs on that) I already said that security research always inspired something in me. Therefore, I set off to develop my “how stuff works” mentality. My long term goal was to get listed in various websites’ Hall of Fame pages. They have these pages set up for security analysts; anyone who points out a vulnerability in the system. But it wasn’t easy. Endless nights and countless hours were spent to achieve this dream. I worked diligently and was finally able to become a part of society that believes in making the internet a better place for all. 4. How did your first vulnerability report go? How did you find it and what did it feel like at that time? I’m very glad you asked that question. No one forgets his first encounter with a big company. For me, it was Microsoft back then. After detecting a vulnerability in their network, I reported it without any hopes of seeing my name at their website’s Hall of Fame section. Time went on, and one day I got confirmation from the guys at Microsoft. They thanked me as their company’s custom goes. It was the most wonderful moment of my life. I was ecstatic, speechless, happy and downright surprised at myself. The incident sparked confidence in me and motivated me to pursue cloud penetration professionally. Here I’d love to tell all aspiring security analysts that you are your own boss. The so-called “experts” will not only laugh at you, but they’ll also refuse to help you. People hardly part ways with their knowledge in this field. Therefore, you have to work hard and one day you’ll overcome your dreams. 5. What's your research that makes you especially proud? 3 months ago was a “Bug Hunting and Reporting” season for me. I’m not talking about pesticides and actual insects lurking around; it was kind of a virtual online thing. Jokes apart, it took me a lot of time to cover the gaps. No one guided me, or helped me; all upcoming security researchers know this by heart. 6. How do you feel after being part of Defencely? How did I feel? I can’t give words to my feelings. First of all, Defencely is the only cloud penetration services company that purely hails from India. There are others too, but most of them are headed in the U.S of A, with some team members scattered around in India. So it was a big deal for me to be a part of a network that belongs to my country. Defencely also inspired me to chase my dreams with due diligence. Besides that, my parents were damn proud of me… at last. I was kind of a lazy bum in studies, so my dad started doubting my future. I’m going to dedicate the rest of my time and effort to Defencely and brute force ethical standard hacking. 7. What is your advice for new bug hunters? Dear brothers, I know it is quite easy to give advices but bear with me. As an upcoming security researcher of high caliber, you have to throw yourself at it. No one is going to teach you or hold your finger. Keep in mind the high competition factor and make the internet your new teacher. On your way, you’ll meet all kinds of people. Some of them will vow to help you but they won’t. Others, though EXTREMELY rare, will give you in depth knowledge about hacking and security assessment. That’s about it. The rest of the stuff, you’re going to have to handle it on your own. Stay motivated and don’t lose hope, no matter what kind of field you are interested in. By the way, start immediately with OWASP standards. Move your skills across WASC classes and learn anything that any online tutorial has to churn out. Got it? Why are you still here, then? Go and start your work! Here’s another one of my chin up speeches for you: To be successful in this field (or any field) you must have a positive and “can do” approach in life. Don’t let haters and their negative energy take you down. You will feel like a loser every now and then – this happens, but don’t give up on anything. 8. What do you think about E Hacking News? EHN is a great opportunity for anyone who is connected to the internet. Granted that you are contributing to someone or something and it is related to the scope of this website, talk to their super friendly admins. They will love to interview you; expose your skills to the world and help you meet fellow community members. Already EHN has created buzz with its published content. I can only wish you guys all the best for your future endeavors. 9. Is there anything else you like to add? I would like to add a few things here. First of all, a very special thank you note goes to Mr. Ritesh A. Sarvaiya, CEO and Founder of Defencely.Com. His character and role definitely bypasses as that of a CEO, which itself is a big responsibility these days. Ritesh Sir (as everyone likes to call him that) has a knack for finding talent all over the world. One thing that I love about him is the fact that he is one of the very few people who would go to extremes to give your destiny a shape. As long as you have the talent to show for, and something that Ritesh Sir can work on, you’ll have it. Atul Shedage. To me, Atul is like a brother and a great mentor. He is CTO (Chief Technology Officer) at Defencely. We have already heard a lot about him. He is the youngest Indian CTO to receive multiple awards of recognition from many online companies. Lastly, I would like to thank Sabari Selvan; EHN website webmaster and owner. Without his unmatched support, I wouldn’t be here talking about my dreams and everything that you just read. Thanks Sabari, and good luck to you with whatever you are up against in life. A bunch of appreciation also goes to the entire Defencely and EHN panel. You guys rock.